Photo: Orphan girls rescued from child labor situations are well on their way to recovery at our girls home. Yesterday our India team hosted a public seminar to explain the legal rights of minor girls and to heighten awareness of the illegal and dangerous nature of child marriage. 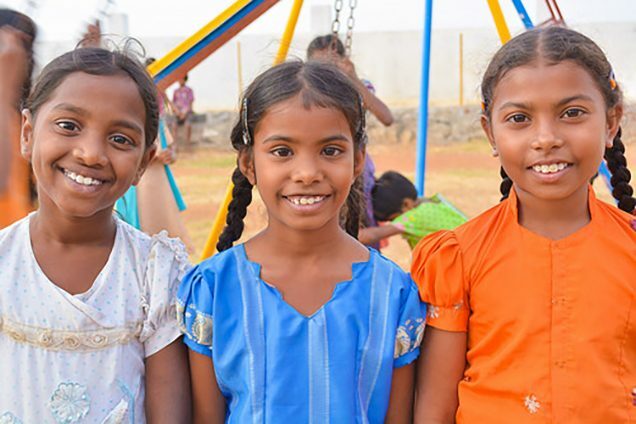 Motivated by extreme cultural pressures, relatives of our Indian orphan girls often try to claim legal rights to withdraw the girls from the orphanage as early as age 12 or 13 with the hidden motive of arranging for their marriages. Thus we invited and paid transportation for many of these relatives to attend, to hear directly from government representatives about the illegal practice of child marriage. 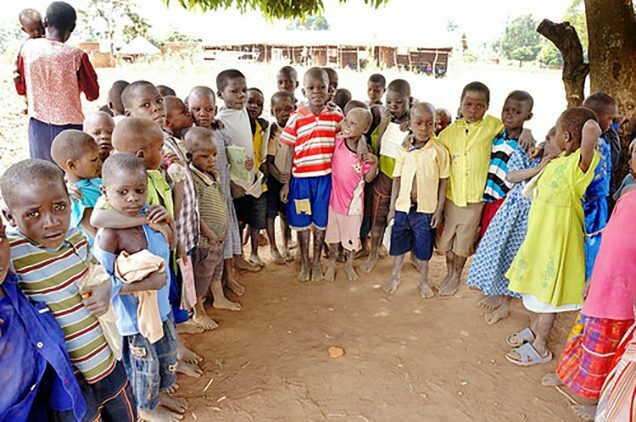 Photo: Children at our elementary school gather under a tree for class, as our current facility does not offer enough space to meet the demand for local education. Without our school these children would otherwise have no education opportunities within a reasonable distance of their village. Two years ago we acquired this land, launched the school with a temporary shelter, and began a fundraiser to build a proper facility. The fundraiser has made some strides but the goal is not yet met, and now the school faces closure if we do not act soon.